Join the Symphony of the Mountains at Allandale Mansion for their special ‘Music at the Mansion’ concert on Sunday, July 29th! Bring your own blanket and lawn chairs for an evening of colorful music from Big Band to Bluegrass. A special musical guest, ShadowGrass, will join the Symphony of the Mountains in a concert that won’t soon be forgotten. Each year, the symphony encourages people to decorate their picnic area with a special theme. This year, the theme is “Colors of the Mountains.” At the concert intermission, the Women’s Symphony Committee Honorees visit each of the registered picnic areas for judging. The picnic area winner gets a special little trophy and two season passes to the symphony! Concert goers can bring coolers and snacks. 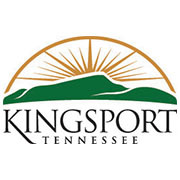 The Beer Run in Kingsport will also be hosting a beer garden for the event. The concert starts at 6:30 p.m. Tickets are $15 in advance and $20 at the door. To purchase your tickets, please visit www.symphonyofthemountains.org or call 423-392-8423.